with you content 2X longer than without interactivity. double-digits. What are you waiting for…?? Insert call-to-actions into your video to drive traffic to offers, landing pages, downloads, additional videos or order forms. Use DilogR’s custom thank you page builder to drive targeted traffic based on video interaction. Segment viewers based on viewing behavior and interactions. Use this data to drive lead scoring and unique follow up campaigns. Who is watching your videos? You can’t market to unknown viewers. See exactly who’s watching your videos, and for how long. Gain actionable insights from your videos. Who is watching? Where do they drop off? How much engagement are your videos getting? Which videos are leading to measurable ROI? Measure every moment that matters. Examine all phases of your customer journey to undersand their needs in-the-moment. Use that knowledge to optimize across the journey and anchor completely on your customers and organize around the moments that matter to them. “Want-to-know” moments. “Want-to-go” moments. “Want -to-do” moments. “Want-to-buy” moments. All these micro-moments create actionable insights. Your customer preferences and purchases are shaped in these micro-moments. Ultimately, whoever does the best job of addressing these needs in each moment will win. Use Video to help prospects through the buyer's journey: Insert Calls to Action into your video to drive traffic to offers, landing pages, downloads, additional videos or order forms. Use DilogR's custom thank you page builder to drive targeted traffic based on video interaction. Generate Leads with lead capture forms directly in your videos. Insert the lead capture where it fits best with your campaign. You can capture a lead up front before the video begins, include a gate part way through the video, or ask for the lead at the end of the video after the viewer consumes your content. Integrate Your Leads directly with your CRM, MAP (Marketing Automation Platform), and Email Marketing Tool. Send a customizable autoresponder email to viewers who opt in. Viewer attention spans are at an all time low - Let viewers watch exactly which content is relevant to them using Video Chaptering. 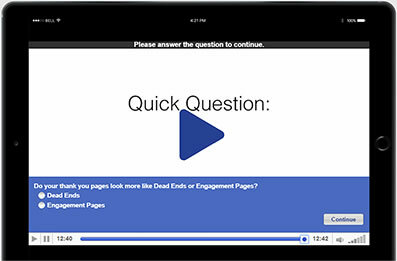 Turn your video into a Quiz using DilogR's video quiz builder. 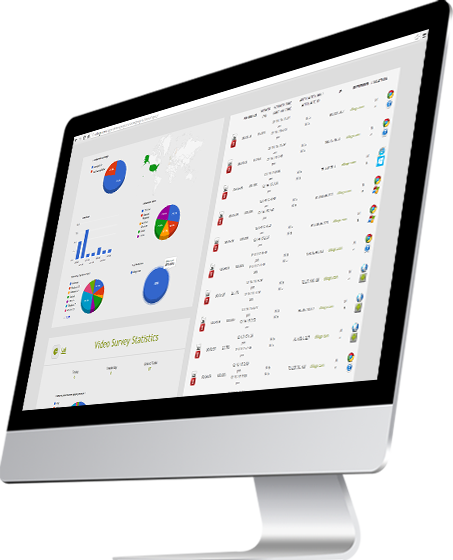 Collect valuable information about your prospects and customers and integrate that data directly into your CRM / MAP (Marketing Automation Platform). Use DilogR's Recommendation Enging to create hyper-personalized feedback based on answers and quiz score / lead score. Include this feedback in a personalized custom PDF Report. Ads that say "Take Our Quiz" convert better than ads that say "Watch our Video". Know your customer. Ask Questions during your video to learn more about your viewers. Use this information to hyper-target and segment your prospects. Improve your messaging based on feedback. 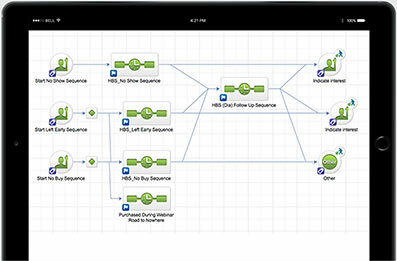 Create Choose your own Adventure Video Paths and dynamic video experiences. Turn existing videos into interactive content such as Video Lead Generation, Video Quizzes, Video Assessments, Video Surveys, Choose your Own Adventure videos and Chaptered Video. Got a library of recorded webinars? Did you ask questions during the live webinar? Include those questions in the recording and collect that valuable feedback from attendees that couldn't make the live event. You can't market to unknown viewers. See exactly who's watching your videos, and for how long. Gain actionable insights from your videos. Who is watching? where do they drop off? How much engagement are your videos getting? Which videos are leading to measurable ROI? Measure every moment that matters. Examine all phases of your customer journey to understand their needs in-the-moment. Use that knowledge to optimize across the journey and anchor completely on your customers and organize aroung the moments that matter to them. "Want-to-know" moments. "Want-to-go" moments. "Want-to-do" moments. "Want-to-buy" moments. All these mocro-moments create actionable insights. Your customer preferences and purchases are shaped in these micro-moments. Ultimately, who ever does the best job of adressing these needs in each moment will win. Your videos play beautifully, anytime, anywhere. When you upload a video to DilogR, we automatically encode and deliver multiple versions of your video for any device and internet connection speed. We then deliver these videos over Content Delivery Networks with servers around the globe. Our Servers detect the each viewer's connection speed and deliver the best quality video with the least buffering possible. 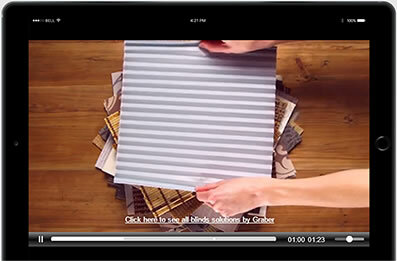 DilogR video embeds work seamlessly with responsive websites. 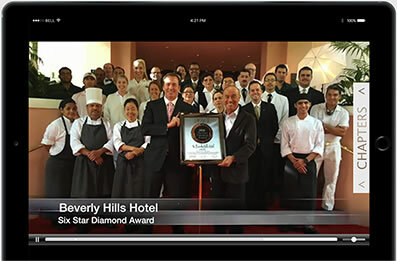 Deliver a consistent, branded video experience. Select the player that fits with your brand and customize the color and controls. Quickly Organize your videos into categories and folders. If you change your mind, you can quickly move videos into different categories. Embed your video on your site, blog, or landing page. Or if you prefer, send out a link to a DilogR microsite video page. Allow viewers to share your video on social media sites like Facebook and Twitter.